More U.S. service members said they faced retribution for filing sexual assault or harassment complaints last year than in 2016, according to an annual Pentagon report, as the Defense Department saw a growing number of sexual misconduct cases. According to the report released Monday, there were 146 reports of retaliation last year, compared to 84 in 2016, and the number of sexual harassment complaints jumped by 16 percent. Nearly two-thirds of the harassment cases that were resolved were substantiated. 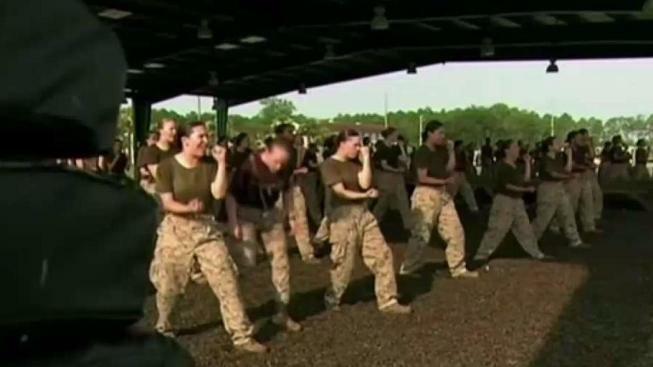 Pentagon officials say the increase in reporting reflects a broader confidence in the system and is a positive trend because sexual assault is a highly underreported crime. But it's unclear if the larger jumps in harassment and retaliation complaints reflect a similar confidence or simply represent a growing problem. "Fear of ostracism and retaliation remains a barrier to reporting sexual assault or filing a sexual harassment complaint," the report said, adding that many women fear it will damage their reputations and haunt them for the length of their careers. Under the law, reprisal can involve a range of unjustified personnel actions, such as interfering with promotion, unreasonably downgrading someone's evaluation or unfairly denying an award. But victims also complain of bullying, including on social media.